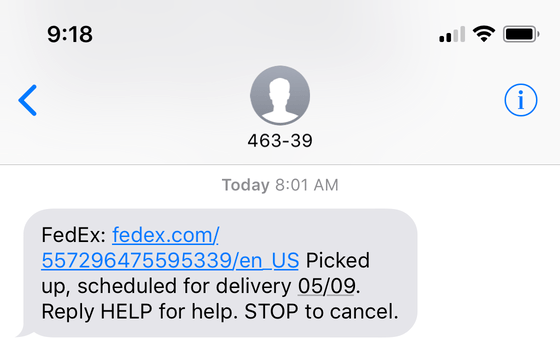 Another week, another post about FedEx being terrible.1 When FedEx has a package headed my way, they text information about it. 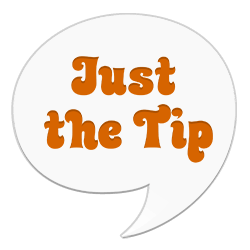 This should be helpful, and I would appreciate it, if not for one thing. The URL they send leads to a broken page, every single time I get one of these texts. This has been broken for many months. I actually attempted to report this issue back in December, and even then, it wasn’t a new problem. 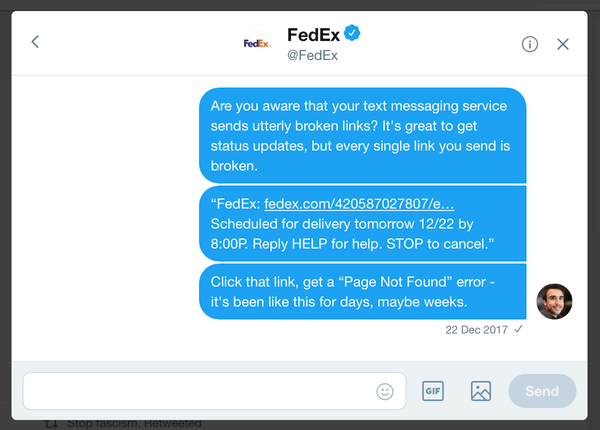 While I never received a reply to this Twitter DM, the checkmark in the bottom right indicates that at least someone at FedEx read it. Perhaps this issue is unique to me, but I doubt it. 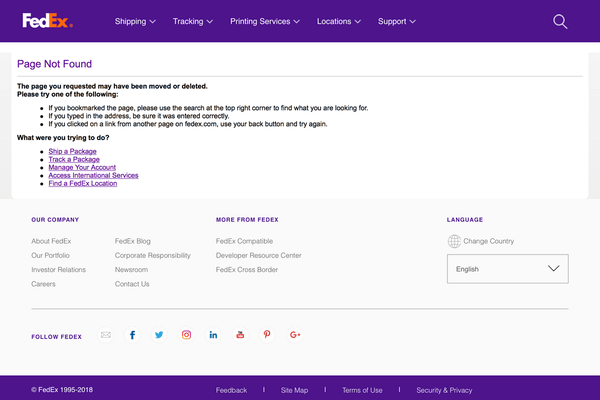 It seems likely that every day, FedEx is sending out thousands of texts with broken URLs.